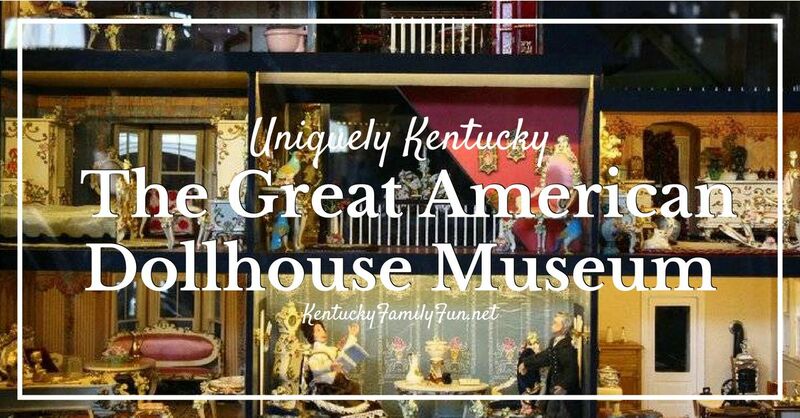 Where: Centrally located in Danville, The Great American Dollhouse Museum is about 50 minutes from Lexington and an hour and a half from Louisville. When: The Museum is open from 11am to 5pm, Tuesdays through Saturdays and closed on Sundays and Mondays. Where to Start: Purchase your admission, $7.50 for adults, $6.60 for seniors, $5.00 for children (4-12) and children under 4 are free! Why: This is a destination spot for anyone who loves vintage dollhouses and United States history. This museum takes museum-goers on a journey through a timeline of U.S. history, through the periods of Native Americans, Colonial, Old West, Southwest, Victorian eras and ending all the way through the 20th century. As you walk through the museum, you are more interconnected with the dollhouses and the rooms than you might expect. There is also a Miniatures Store located at the museum which houses all of your needs for fitting your dollhouse to its best. If you’re looking for a more unique place to visit with your family, especially if you have doll lovers with you, head to this historic place!